Headless Mode In A Quadcopter Drone - What On Earth Is It? There is no argument that knowing how your quadcopter works can save truck loads of your time and effort needed to operate it effectively. One key feature that always comes into debates when talking about quadcopter drones is the ubiquitous Headless Mode. What exactly is it? You may ask. Most beginner quadcopter pilots' dream is to just buy one drone off the shelf and fly it in no time at all. If you are one of those "Cant Wait Darling" dudes, you would love Headless Mode. Though the feature was only made available on advanced drones until recently, you can now find it in beginner drones as well. Here’s what you should know about how the feature works. Technically, the feature allows you to align your quadcopter drone movements relative to its controller. The feature lets you move a drone depending on your direction rather than its flight path orientation. For instance, if you’re moving in the right direction (we are not suggesting anything about your life here but to your right! :-)), the quadcopter will fly to your right. With the Headless Mode turned on it all becomes a little bit too easy as you don’t need to monitor your quadcopter’s orientation. When its turned on, smart programs within the quadcopter do the work for you. In the Normal Mode, the drone goes to the left if you start it facing forward and turn it 90 degrees to the left. With Headless Mode activated, the drone moves in your direction whether you turn it 90 degrees to the left or right. Quite remarkable to get used to the movements if you are just starting out and want to put some drone miles in your bag. How Does It Work? Is It Same As Head free Mode or Carefree Mode? When activated, the Headless Mode kicks in and makes flying a quadcopter almost effortless with little to no effort required in navigating it. You should first put the drone on the ground with its direction aligned to where you’re facing. This will allow the orientation to kick in headlessly- excuse the pun! A cheaper drone can take off once you activate this mode. For advanced drones, which come with a digital compass, you have to read the instruction manual before activating it. 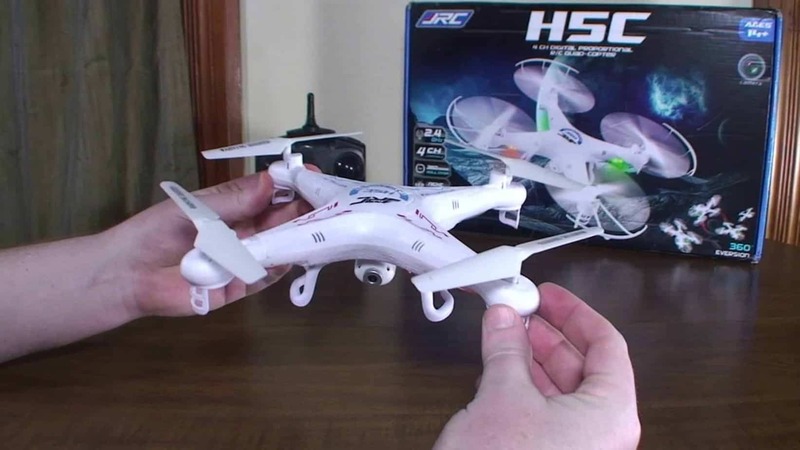 Dont get confused if some quadcopter vendors refer to it as care-free mode or head-free mode. They all are one and the same-just adds some fancy lingo to sell more quads, i guess. You can activate it in any quadcopter/drone by one push of a button. On your quadcopter, there’s more often than not a button labeled Headless Mode. Refer to the instruction manual, where vendors include plenty of information on how the feature and controller work specific to the model you have purchased. Its pretty straight forward although the jargon can be a bit intimidating before you actually try it. Once you try it, you will know what I mean. 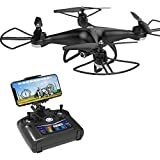 Are There Any Cheap Drones With Headless Mode Available? Most of the mainstream quadcopter drones on the market feature it as it no longer is a novelty. Besides being affordable, the drones come with highly beginner-friendly features. Good examples are MJXX Bug 2W, UDI U818 Plus, Altair AA108, UDI U818A, and Syma X5C-1. Most of these devices have an operating range of more than 20 meters and a battery that can run more than five minutes on a full charge. Consider the battery capacity, weight and controller frequency rate of the beginner drone you’re buying. The device should also be capable of flipping or rolling at 360 degrees to add some fun to the headless adventure. Should You Purchase A Drone With Headless Mode? In my view, You should get a drone with the Headless Mode if you’re a beginner pilot. 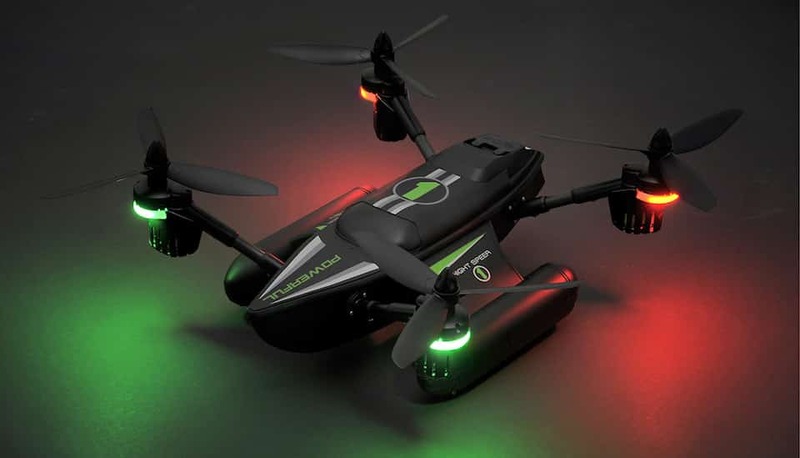 It lets you explore how you can control its orientation and get used to the aerodynamics of how the drones behave in different weather conditions. Consider getting an advanced drone only after familiarizing yourself and gradually progress to much more advanced versions. Nobody, almost nobody were born with flying drones talent at their birth! Are There Any Benefits of Flying Headless Mode vs. Normal Flying? Beginner pilots that only want to fly a drone in seconds can rely on the Headless Mode to get them started. Using the Head-free feature is similar to driving an automatic car-just set it and forget it. You don’t need mastery of any technical knowledge to use the feature or understand how the drones behave in air. 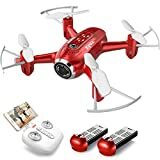 If you are hard pressed for time and you just cant drag yourself to go through the rigours of flying hours to master the art of flying drones, Headless Mode could be your saviour as it eliminates the stress that comes with clocking the flying miles and understanding the subtle but advanced features of quadcopters. Most beginner drones have easy-to-use protocols for activating it. Most of them require you to press just a button to activate the functionality. Easy as a pie you might think but it actually is! You’ll take less than a minute to get the mode activated and fly your drone seemlessly. Should Beginners Fly Their Drones In Headless Mode? Majority of the expert drone instructors discourage their students against using Headless Mode and for good reason. The algorithms in the feature do most of the flying almost on auto-pilot without actually allowing you to understand the movements of drones in air. It is also widely known that it prevents you from seeing what your drone’s camera sees. You can’t rely on it in commercial applications such as inspections or drone racing, which use first-person view (FPV) to obtain better aerial images. Beginner pilots who someday hope to go professional, shouldn’t over-rely on flying with it since most commercial drone applications don’t use it and your chance of finding a gig if you get used to it will only be a little farther. The feature can be helpful, if you are just starting out and want to differentiate which way is backward and forward. Another notable advantage is that when enabled, it can fly the drone in reverse to bring it back to the position-pretty nifty I would argue! However, it can be pretty hard to transition to Normal Mode if you began operating a drone in Headless Mode. 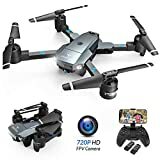 Is it considered as Cheating if you’re an Advanced Drone User? Headless Mode is beneficial to both advanced drone users and beginners. For advanced users, the functionality offers a practical solution for returning a drone to the controller’s position. You can rely on it to help you figure out where the forward or backward direction is. Using the functionality as an advanced pilot doesn’t necessarily mean that you’re cheating. However, over-relying on it when you can rely on your technical skills can qualify as cheating. You need to know the instances when it can be practical to you. Always employ your flying skills to get the most out of the drone instead of relying on shortcuts. Can You Use Headless Mode While Flying FPV? When using Headless Mode, it’s impossible to get the first person view (FPV). With the FPV, you can view every object that your drone’s camera interacts with by looking at a screen or wearing goggles. You must monitor your drone’s orientation to get the first person view. You can’t rely on Headless Mode when flying FPV since it doesn’t allow you to track the device’s orientation. 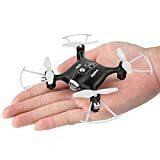 Top Selling Headless Mode Drones!